old Services — B&B Siding and Roofing: #1 local contractor in Staten Island, Brooklyn, central New Jersey. We specialize in all vinyl siding products and brands, including Royal Crest, CertainTeed, Crane, Napco etc. B&B Siding's feature Vinyl Siding product below are manufactured by Exterior Portfolio. We offer alternative products to vinyl, such as fiber cement siding panels and composite siding. Those include but are not limited to James Hardie Siding, Allura Siding, and Royal Celect Composite Siding. 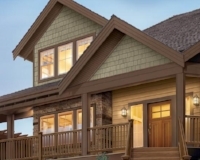 B&B Siding offers a full line of roofing products. Looking for a more valuable design that will enhance the look of your home beyond horizontal siding? Check out Vinyl Shake design as well as Board and Batten Vertical Siding to name a few. Window replacement options for any room and style, including basement, bay, bow, double pane and storm windows. We carry premium brands like Anderson and Pella. 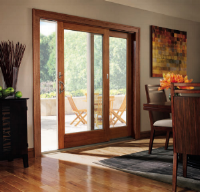 Door replacement options for any room and style, including backdoor, sliding, balcony, entrance, french, fiberglass, exterior, entry, patio, wood, glass, louvre, screen, and storm. We carry premium brands like Anderson, Pella and Simonton.